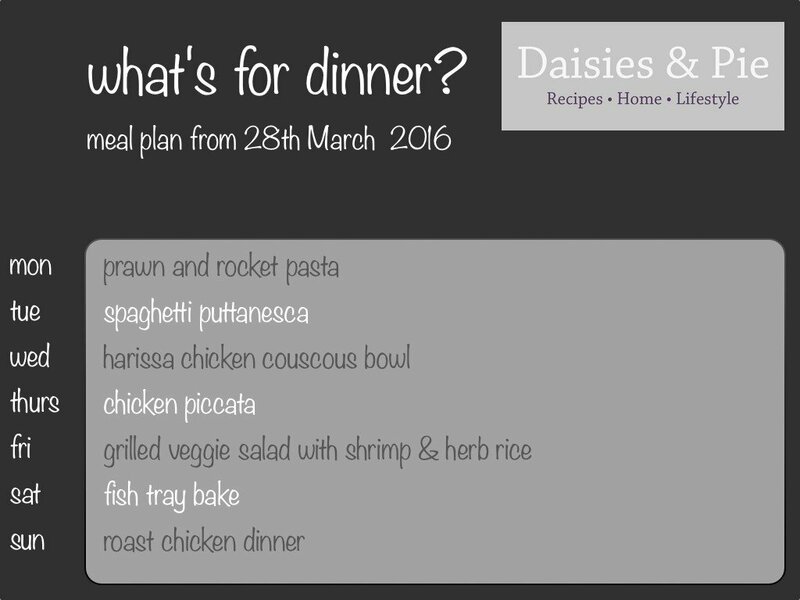 This week is the start of my #springhealthkick so the meal plan is filled with lovely, fresh, healthy dinner recipes that are suitable for all the family. One of my favourite recipes – flash fry prawns with sun dried tomatoes, lots of garlic and lemon juice then toss through freshly cooked pasta with a couple of handfuls of rocket and top with a scattering of lemon zest. Really easy recipe that’s ready in just 10 minutes. Whilst the spaghetti cooks, fry up fresh tomatoes, garlic, tuna, black olives, capers and fiery chillies. Toss the whole lot together and dig in. 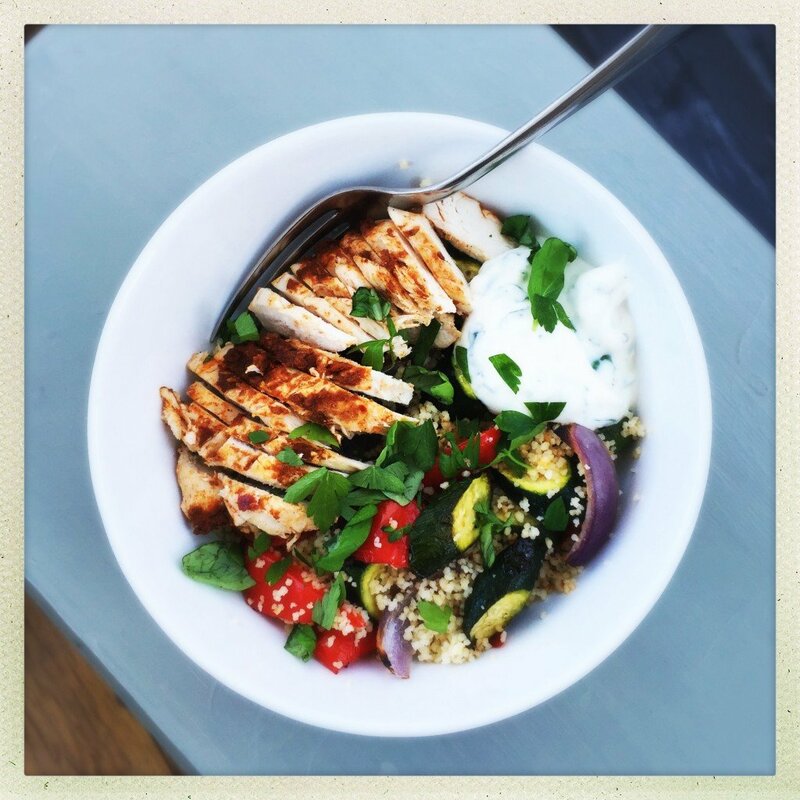 Delicious marinated chicken with grilled vegetable couscous and a zesty yogurt dip. You can grab the recipe Harissa chicken couscous bowl recipe here. Butterlied chicken breasts tossed in seasoned flour and fried in butter with lemons, capers and a splash of white wine. I’ll add a huge green salad and some plain bruschetta alongside this. Really easy grilled Mediterranean vegetables with a Balsamic dressing alongside lemony shrimps tossed through brown rice with lots of chopped herbs. 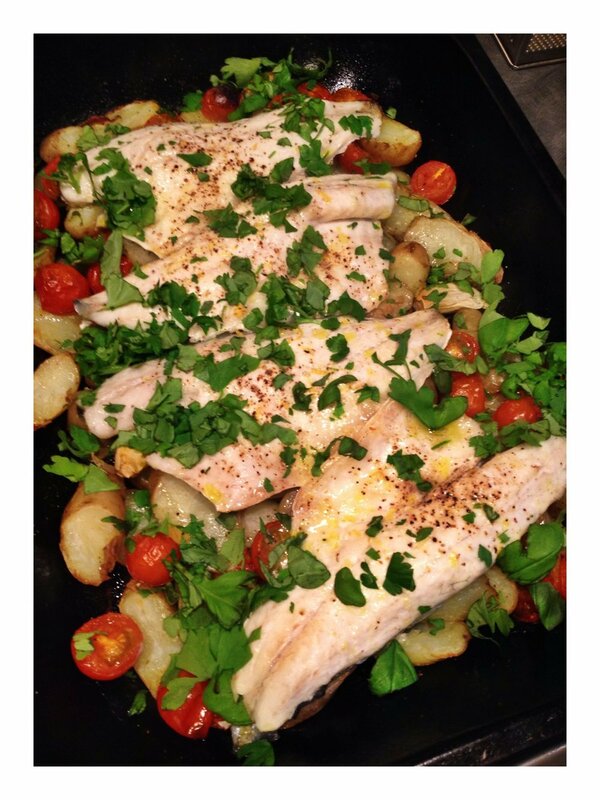 Sliced new potatoes, baby plum tomatoes and black olives topped with some nice fish fillets and baked in the oven. Add a green salad – totally delicious and healthy. Lemon and rosemary stuffed chicken, with herby roast potatoes and spring greens.